As expected, this year's CES is all about the smart assistant and smart speaker. The latest company to jump onboard isn't quite what you'd expect, though. 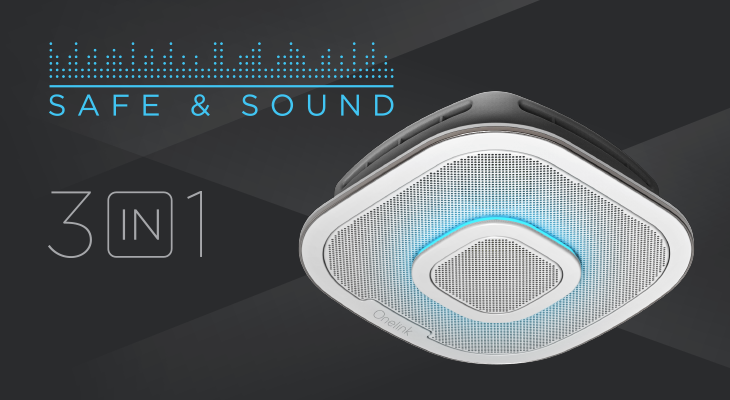 First Alert, commonly recognized as a manufacturer of smoke detectors and carbon monoxide alarms, has just announced its new Onelink Safe & Sound, which combines those previously mentioned alarms with high-end speakers and your choice of Amazon's Alexa or Google's Assistant. At first glance, First Alert's new smart smoke and carbon monoxide alarm might seem like a spaghetti-on-the-wall approach in the rapidly growing smart speaker market, but it's actually an ingenious combination. If you've got a location for a smoke detector, you can easily swap it out with the company's new Safe & Sound and better take advantage of all that wasted space on your ceiling. Then you won't have to worry about placement, obstructions, or volume as much as you would with a normal smart speaker. It's also smart enough to provide you multiple forms of alerts in the event of smoke or carbon monoxide, too, sending messages to mobile devices with info on the type and location of the emergency. And, of course, you get all the same Alexa or Google Assistant features you'd expect. Although the Onelink Safe & Sound has a 10-year battery backup (presumably just for alarm functionality), you'll need to be able to provide it with the power to use it, though it includes adapters for different configurations. Right now, the only SKU listed on First Alert's site is for the Alexa-powered model, but CNET claims there should also be a Google Assistant version coming. Pricing and availability remain a mystery, with no dates or prices posted at First Alert's site, and no listed retail sellers (yet). Although this particular idea seems like a good one to me, we'll have to see what other unconventional voice assistant hardware combinations pop up as CES continues. Personally, I'm rooting for the smart codpiece, for that anachronistic look.